Dr. Stephen J. O’Brien is an attending orthopedic surgeon at Hospital for Special Surgery and New York Presbyterian Hospital. 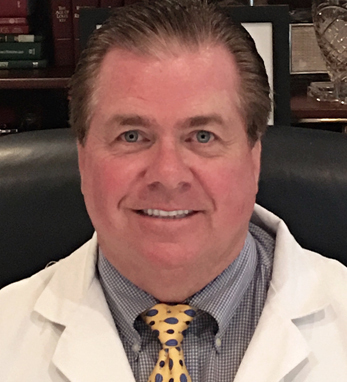 He also serves as a professor of clinical orthopedic surgery at Weill Cornell Medical College and is former vice chairman for the sports medicine and shoulder service at HSS Specializing in sports medicine, Stephen has worked with the New York Giants, St. Johns University, and the New York Racing Association. He was also recently recognized by Sports Illustrated as one of the Top 10 Sports Surgeons in America. Stephen is a second-generation Irish American who also holds Irish citizenship with roots in both Co. Derry and Co. Roscommon. He teaches a course annually at the Royal College of Surgeons in Dublin and was honored by the Cappagh Foundation of Ireland for Outstanding Career Contribution to Orthopedics in 2010. When stepping away from the medical world, he plays golf at the Doonbeg golf club in Co. Clare. A two-sport athlete in college, he earned his B.A. from Harvard College and did his M.D. at the University of Virginia and Internship at Yale University. He also holds an M.B.A. from Columbia University, where he was class president. Stephen is proud to share his “all-Irish” heritage with his wife, Sheila (cousin of former longtime U.S. Senator Daniel Patrick Moynihan), and his children, Kyle, Mariel, Conor, and Liana.